Some bows can go for years between rehairs, while others seem to need a new hairdo every six weeks. Hair does break and stretch, and eventually — though we don’t fully understand why — stops engaging the string. Bows are a fascinating mix of engineering, quality materials, and refined craftsmanship – and an essential element in bringing any great instrument to life. As a lover of handcrafted wooden instruments, I have gotten to know and really appreciate the intricate beauty and engineering of this amazing bit of woodworking. 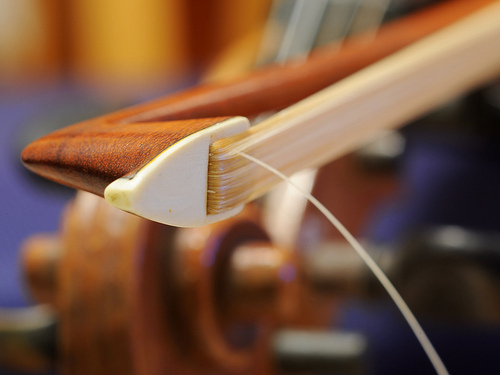 The Bow is very important to the overall performance of an instrument, but if a bow is not rehaired properly, it can really bring sound quality down. 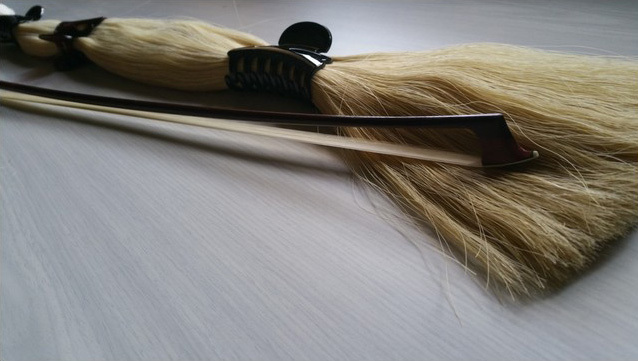 I am delighted to offer a quality bow rehairing service, using only the finest Mongolian horse hair. Each bow is carefully and skillfully disassembled at the head and frog, which is a delicate and intricate job. 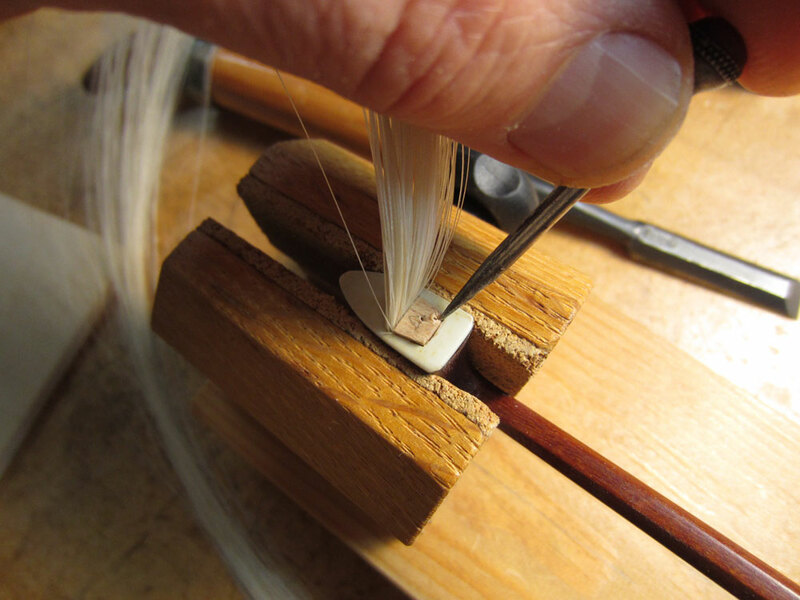 Then only the right amount of finest horsehair is fitted evenly, ensuring a perfect sound for years to come. I offer a postal service with a 3 day door-to-door turn around which makes it very easy for you to have your bow rehaired. I use specially designed bow tubes that I send to you. You then post me back the tube with the bow inside, I rehair it and return post it to you. You retain the bow tube for the next rehair.